Toronto duo Moon King have crafted a raw, rapturous & emotional record documenting their ascent from an airy conceptual project into a powerful live band. The result is Secret Life which will be released on Last Gang Records worldwide on April 14th. In 2013, Moon King, made up of songwriter Daniel Benjamin and singer/guitarist Maddy Wilde, played over 100 shows to support a pair of EPs, Obsession I and II, which were released on Fucked Up’s One Big Silence label in North America and Tough Love in UK/Europe, and immediately garnered attention from Pitchfork, Spin, NME, Dazed, Noisey and other tastemakers. After a year spent on the road, it was obvious they should capture the energy of their live show while it was still fresh. 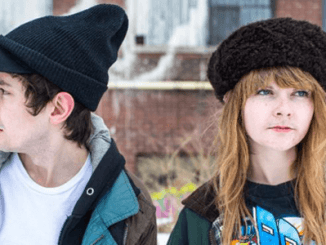 Following a performance at Iceland Airwaves, Daniel & Maddy relocated to a cottage in northern Ontario to record the album with a group of Toronto music scene luminaries, all of whom had played in various incarnations of the live band. Most of the tracks on the album were recorded live off the floor, with little except the vocals added, put to tape by live sound engineer Noah Giffin (Owen Pallett, Austra, Diana). Though only five days of recording were booked, an ice storm prevented them from leaving, resulting in an extra couple of days work. The record was then mixed in New York with Jacob Portrait of Unknown Mortal Orchestra/Blouse. The album’s production is more nuanced than the wall-of-sound approach of the EPs, stripping back layers of effects to reveal the vocals. Daniel’s lyrics focus on catharsis and the weight of emotional trauma, as well as dealing with the self-doubt that stands in the way of recovery. “It’s impossible / you’ve been run through with fear / love’s a landfill / just another burning spear” and the ultimatum at the climax of “Golden Age” – “all I want is to be wanted” display a kind of honest and tangible fear rarely heard in pop music. Frequent show-opener “Apocalypse” begins with the confession “somehow I feel no release when I’m alone with anyone else / somehow I fall to pieces when I wake up to nothing where you should be” and builds intensity and speed until overflowing in a rush of noise, an oddly structured pop song with no repeating sections. There is a deep sense of loss, and longing in these songs. Moon King channel desperation and project it outwards, each song carrying with it both a weight and a sense of urgency. 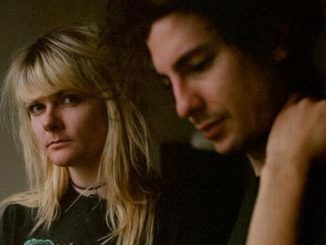 Moon King will be touring Europe and the UK with Alvvays later this month, details for their upcoming North American tour will be announced soon as well, watch this space!